LAGUNA BEACH, CA -- Breathtaking video captured a mother gray whale and her calf gliding under a boat off the coast of Laguna Beach on Sunday. 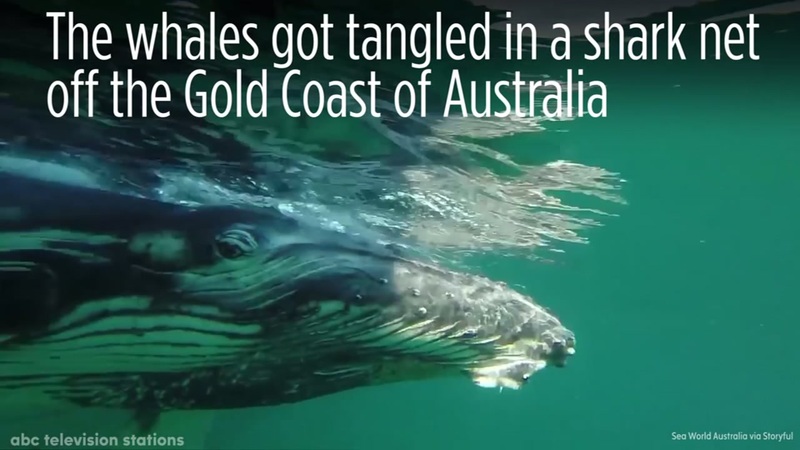 When a mother humpback whale and her baby got tangled in a shark net off the coast of Australia, the mother helped make it easier on rescue workers to free the baby. 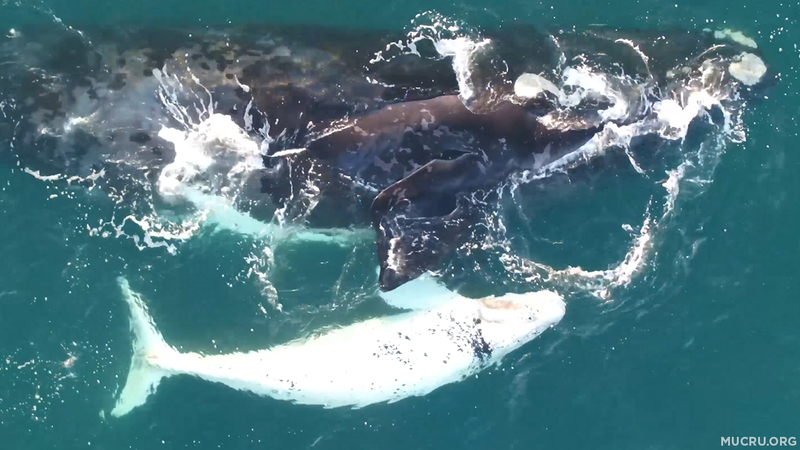 Drone footage shot by a research team off the coast of Western Australia captured a rare, white baby whale cuddling with its mother.